Through August 20 – “Ancient Forms, Modern Minds: Contemporary Cherokee Ceramics” at the Pickens County Museum of Art and History. 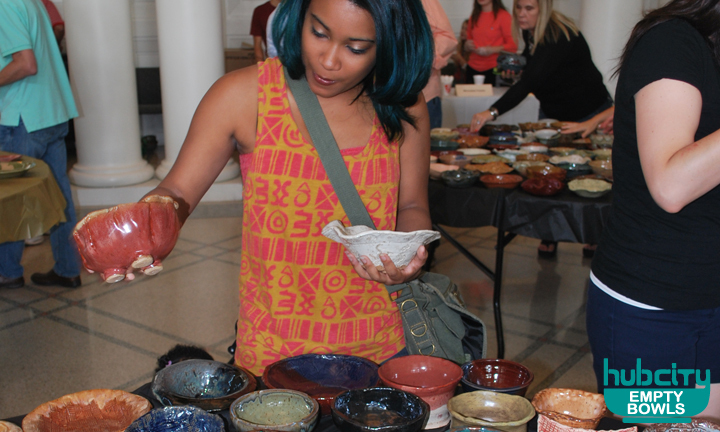 Exhibit includes works from 11 Cherokee potters. For more information call (864) 898-5963 or visit http://www.visitpickenscounty.com/event/1183/ancient-forms-modern-minds-contemporary-cherokee-ceramics/. Wednesdays through August – South Carolina BLUE Reedy River Concerts at the Peace Center Amphitheatre in Greenville. The series will provide a variety of artists from jazz to rock and roll. For more information call (864) 467-3000 or visit http://www.greenvillesc.gov/243/SC-Blue-Reedy-River-Concerts. Through July 27 – Carolina Shag Lessons at the Dance Center at the Chapman Cultural Center in Spartanburg. For more information call (864) 583-0339 or visit http://www.chapmanculturalcenter.org/news-press-releases.php?news_id=923#sthash.PiRDiQe6.dpbs. July 9 – 11 – South Carolina Festival of Discovery in uptown Greenwood. Event will include blues music at a variety of restaurants in the city, a BBQ cook-off, and celebrates the history, arts, and food in the area. For more information call (864) 942-8448 or visit http://www.uptowngreenwood.com/events/sc-festival-of-discovery. July 10 – “Jim Quick and the Coastline” at the Peace Center in Greenville. Concessions and free shag lessons will be provided by the Carolina Shag Club at 7:00 pm before the show. For more information call (864) 467-3000 or visit http://www.peacecenter.org/events/detail/jim-quick-and-the-coastline. July 10 – 19 – South Carolina Peach Festival to be held on the County Administration Building grounds in Gaffney. Events will include lots of live entertainment, a truck and tractor pull, a wrestling show, a BBQ cook-off, just to name a few. For more information visit http://scpeachfestival.net/. July 11 – 12 – 71st Highland Regiment at the Kings Mountain National Military Park in Blackburg. Come learn the Loyalists played during the American Revolution and there will be a variety of demonstrations during the weekend, to include weapons firing. For more information call (864) 936-7921 or visit http://www.nps.gov/kimo/planyourvisit/event-details.htm?eventID=594116-245777. July 12 – “The Eagles: History of the Eagles Tour” at the Bon Secours Wellness Arena in Greenville. This performance follows the Documentary of the same name and will include songs never before heard. For more information visit https://bonsecoursarena.com/. July 13 – 17 – Charlotte’s Web Camp at the Chapman Cultural Center in Spartanburg. Kids will learn about the story, choreograph their own dance and create crafts from the story. For more information call (864) 583-0339 or visit http://www.chapmanculturalcenter.org/summer-camps.php. July 16 – “Pot Boiler Exhibit” at the Spartanburg Art Museum in Spartanburg. Exhibit displays the works of nine artists and is a varied and playful exhibit. For more information call (864) 582-7616 ext. 254 or visit http://www.spartanburgartmuseum.org/spartanburg-art-news/207/Opening+Reception+for+Pot+Boiler. July 16 – “Robert Randolph and the Family Band” at the Peace Center in Greenville. They’ve been featured on Austin City Limits and have played at the New Orleans Jazz and Heritage Festival. For more information visit http://www.peacecenter.org/. July 17 – 21 – “Into the Woods” at the Foothills Playhouse in Easley. “Fairy Tales collide in this musical twist on happily ever after.” For more information call (864) 855-1817 or visit http://www.fhplayhouse.com/. July 18 – “Shania Twain: Rock this Country” at the Bon Secours Wellness Arena in Greenville. She is back with a decade since her last tour. For more information visit https://bonsecoursarena.com/. July 18 – Extra Mile Hunger Run at the Timmons Arena on the campus of Furman University in Greenville. Event is a 5K and a 1 mile family fun walk all to benefit the Harvest Hope Food Bank. For more information call (864) 478-4083 or visit http://events.r20.constantcontact.com/register/event?oeidk=a07eawkiy8w1061a797&llr=gbe9uddab. July 18 – Banjo Extravaganza with Charles Woods with Nitrograss at the Hagood Mill Historic Site and Folklife Center in Pickens. Charles Woods has been featured on the “Late Night Show with David Letterman”. For more information call (864) 898-5585 or visit http://www.visitpickenscounty.com/event/1173/banjo-extravaganza-with-charles-wood-at-hagood-mill/. July 18 – Militia Day at Walnut Grove Plantation in Roebuck. This event, put on by the South Carolina Independent Rangers, is to celebrate Walnut Grove’s military history in the Revolutionary War that led to America’s independence. For more information call (864) 596-3501 or visit http://www.spartanburghistory.org/calendar/2015/4/16/militia-day-at-walnut-grove-plantation-1. July 18, August 20 & 22 – Empty Bowls at the Spartanburg Art School Pottery Studio in Spartanburg. This is an international fund raising project where each participant makes a bowl, followed by an invitation to Soup Day where the bowls will be displayed and can be purchased, after which participants can eat soup made by local restaurants in the area, participate in a silent auction, enjoy live entertainment, and participate in a drum circle. For more information visit http://hubcityemptybowls.com/. July 19 – Independencia de Colombia at the Easley/Pickens Speedway in Easley. This Latin American event will include live music, local talent competition, a Zumba marathon, and much more. For more information call (864) 371-2232/(864) 201-4015 or visit https://www.facebook.com/1458381801119403/photos/pb.1458381801119403.-2207520000.1430762279./1467444933546423/?type=1&theater. July 24 – Lunch and Learn: America’s Last Train Robber at the Chapman Cultural Center in Spartanburg. Come hear a local resident and nationally syndicated columnist Wilson Casey share his story about his writing of his published book “Bedlam on the West Virginia Rails”. For more information call (864) 596-3501 or visit http://www.spartanburghistory.org/calendar/2015/7/24/lunch-learn-americas-last-train-robber. July 24 – August 1 – “The Rocky Horror Picture Show” at the Chapman Cultural Center Theatre in Spartanburg. This musical is a decades-long cultural phenomenon and this event will include the opportunity to purchase prop bags and a costume contest will be held at the midnight shows. For more information call (864) 585-8278 or visit http://www.spartanburglittletheatre.com/#!get-to-know-the-rocky-horror-show/c1cf7. July 25 – Main Street Woodruff Block Party in downtown Woodruff. Event will include a teen lounge, inflatable play zone, a variety of bands, and the Greenville Road Warriors will have an event, just to name a few. For more information visit https://www.facebook.com/mainstreetblockparty. July 28 – August 4 – Big League World Series at the J.B. Owens Sports Complex in Easley. This week-long event is played by kids 16 – 18 years old from all over the world. For more information visit http://bigleagueworldseries.com/. Mondays through August – Hopelands Gardens Summer Concert Series at Hopelands Gardens in Aiken. For more information call (803) 642-7650 or visit https://www.cityofaikensc.gov/index.php/2015-hopelands-gardens-concert-series/. 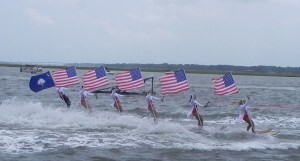 Fridays through mid-August – Carolina Show Ski Teams at the Windjammer Beach Park in Tega Cay. 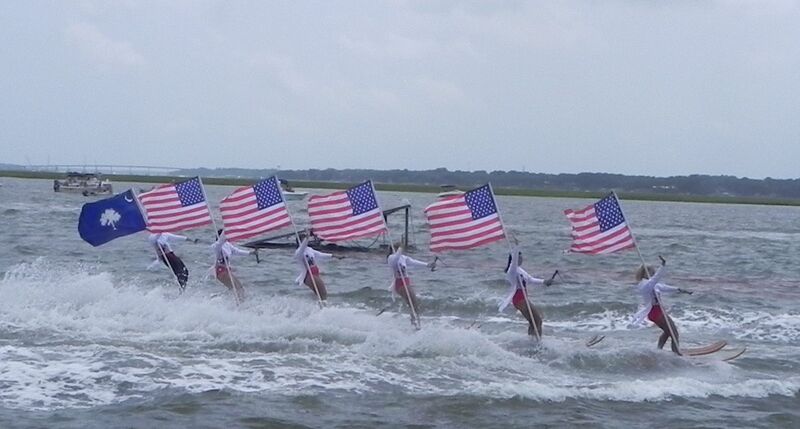 Come see some of South Carolinas most fabulous water skiers. For more information call (803) 431-3920 or visit http://www.carolinashowski.com/. July 10 – 12 – South Carolina Pow Wow to be held on the Pocatilgo Yemasee Indian Reservation in Fairfax. Event will include a drum competition, dancing, native crafts, jewelry, traditional and non-traditional food. For more information call (803) 702-1010 or visit http://yamasseenation.org/index/events/sc-pow-wow-2015/. July 11 – 12 – “Battle of Huck’s Defeat” in Historic Brattonsville in McConnells. Come learn how Captain Huck impacted the Revolutionary War and the community of Brattonsville during this reenactment battle. For more information call (803) 684-2327 or visit http://chmuseums.org/event/1763/. July 11 – Jammin’ in July Music Festival at the Historic Camden Revolutionary War Site in Camden. The event will include a variety of bands from Blues to Rock, and plenty of food. For more information call (803) 432-9841 or visit http://www.historic-camden.net/jul.htm. July 11 – Sonic Rush Tour on Carolina Dragway in Aiken. This event is formerly known as Thunder Jam with the event lasting all day and ending with a fabulous fireworks display. For more information call (419) 663-6666 or visit http://www.sonicrushtour.com/. July 17 – 2015 Lunch and Learn Series (Carolina Fish Camps) at the USC Lancaster Native American Studies Center. Learn about the history of the Piedmont’s seafood restaurants. For more information call (803) 313-7063. July 17 – 18 – “Disney’s High School Musical on Stage” at the York Comprehensive High School Auditorium. Musical is being presented by the Showtime Theatre Company’s middle and high school students. For more information visit http://www.showtimetheatrecompany.com/. July 18 – 19 – Camden Summer Classic Horse Show at the South Carolina Equestrian Park in Camden. For more information (803) 427-1994 or visit http://www.scequinepark.com/. July 24 – 26 – Carolina Bike Fest at the Orangeburg Fairgrounds in Orangeburg. Event will include live music, a stunt show, a Nascar simulator, Helicopter tours, a mechanical bull, and much, much more. For more information call (843) 870-5118 or visit http://www.carolinabikefest.com/. 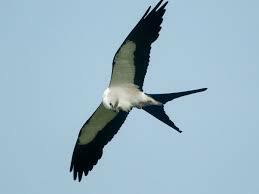 July 25 – 2nd Annual Kite Outing (Swallow-tail and Mississippi) meeting at the Lower Savannah River Alliance Educational Center in Allendale. Come see this most spectacular post-breeding meeting of these fabulous birds. For more information visit https://www.facebook.com/events/911184418924965/. July 25 – BBQ Cook-Off at Kings Mountain State Park in Blacksburg. You can be a cook or a judge or just come out and enjoy some good BBQ. For more information call (803) 222-3209 or visit http://southcarolinaparks.com/kingsmountain/introduction.aspx. July 25 – Touch-a-Truck at the Weeks Center Soccer Field in Aiken. Children can come out and touch, sit in and explore police cars, fire trucks, bull dozers and more. 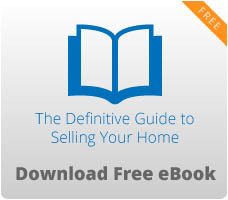 For more information call (803) 642-7631 or visit http://www.tbredcountry.org/common/content.asp?CONTENT=10195&PAGE=311. Third Thursdays through August – Third Thursdays Concert at the Cheraw Community Center in Cheraw. For more information call (843) 537-8421 or visit https://www.facebook.com/events/468142566652575/. Through July 26 – “Antebellum Waccamaw: Paintings and Drawings by Emily Esdaile Weston” at Brookgreen Gardens in Murrells Inlet. For more information call (843) 235-6000 or visit http://www.brookgreen.org/. July 8 – 11 – MegaDock Billfishing Tournament at the Charleston City Marina in Charleston. Come join the fun on the Dock for 4 days of fishing with like-minded individuals. For more information call (843) 278-4920 or visit http://www.megadocktournament.com/. July 10 – “Scotty McCreery” at the House of Blues in Myrtle Beach. Come hear this American Idol winner and country music artist. For more information visit http://www.houseofblues.com/myrtlebeach/. July 10 – Friends of the MUSC Children’s Hospital Fine Arts Show at the Sand Castle Community Center on Kiawah Island. The show will display the fabulous works on nine of Charleston’s best artist. For more information call (843) 754-0494 or visit http://haganfineartgallery.fineartstudioonline.com/collections/78302. July 10 & 12 – America’s Music Part 1 will be presented the first night at the Old St. Matthews Parish on Ashley River Road, and the second night at the Cathedral Church of St. Luke and St. Paul om Coming Street, both in Charleston. Event will include music from both the Colonies and the Revolution. For more information call (843) 297-4804 or visit http://www.thekingscounterpoint.com/#!concertstickets/c2q4. July 14 – 19 – Junior SOS on Ocean Drive Beach and Golf Resort in North Myrtle Beach. Come help teach the next generation of shaggers how it’s done. For more information call (919) 682-4266 or visit http://www.juniorshaggers.com/. July 15 – Mustang Day and Wheels of Destruction at the Myrtle Beach Speedway in Myrtle Beach. Events include a Mustang car show with the later displaying some of the best stunt men in the business. For more information visit http://www.myrtlebeachspeedway.com/upcomingevents. July 16 – July 26 – “Xanadu” at the Arts Center of Coastal Carolina on Hilton Head Island. Based on the Broadway smash hit. For more information call (843) 686-3945 or visit http://www.artshhi.com/. July 17 – 26 – Beaufort Water Festival at a variety of locations in the Beaufort area. Events will include a sailing regatta, a raft race, a crocket tournament, a bed race, a teen dance, headline entertainment by Neil McCoy, and so very much more you will have to visit the website. For more information visit http://bftwaterfestival.com/. July 21 – “Daren Sanders” at the House of Blues in Myrtle Beach. Come here this acclaimed comedian live. For more information visit http://www.houseofblues.com/myrtlebeach/. July 25 – September 5 – “Hometown Teams – How Sports Shape America” at the Georgetown County Museum in Georgetown. Come learn how sports impact our lives by visiting this Smithsonian sponsored Traveling Exhibit. For more information call (843) 545-7020 or visit http://www.georgetowncountymuseum.com/. July 26 – Isle of Palms Beach Run at the Isle of Palms Recreational Department. Event will include 1 5K/10K run and a 5K walk. For more information call (843) 886-6428 or visit http://www.iop.net/departments/recreation_family_beachrun.aspx. July 26 – “Rob Thomas: The Great Unknown 2015” at the North Charleston Coliseum in Charleston. For more information call (843) 529-5000 or visit http://www.northcharlestoncoliseumpac.com/events. July 28 – “Frankie Paul” at the House of Blues in Myrtle Beach. Come hear this hilariously acclaimed comedian. For more information visit http://www.houseofblues.com/myrtlebeach/.